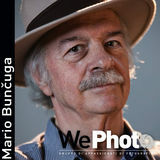 Copyright & Disclaimer All rights are reserved to WePhoto and Mario Bunčuga for this entire eBook and to each author for their individual photographs as included in their related chapters. This book can be downloaded for free and distributed freely only as a whole. The images and text are exclusive property of the authors, the use of which is at their discretion, if being contacted beforehand personally. 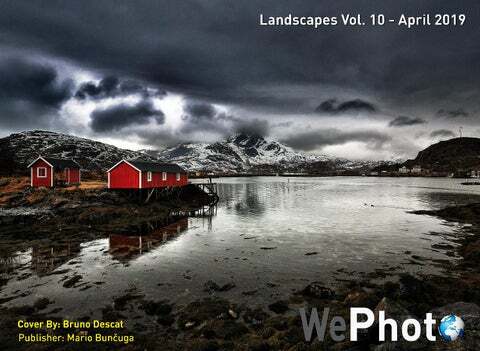 You may also order a print version coffee table book from our link through Peecho online print service. Any misuse or otherwise will be prosecuted through the prevalent rules on the subject of copyright. Landscapes Introduction One may be curious why a 100 people sitting at the edge with cameras in their hands would love clicking the same sunset that occurs almost every next day. Will all their images not look the same once finished? Well, one possible reason could be that nature is as dynamic as it is static. So every day brings new opportunities within the same canvas. There is abundant beauty in nature and you will always feel like belonging to it no matter how long you continue looking at it. But the reason that comes to my mind and I strongly agree with is that it brings about a strong emotion in you. You can pick a part of the spectacle, recreate it your way and you become the owner of your own little universe. You could do the same with a painting with even more freedom and control but in photos you are appreciating the real world that you live in. The pleasure of actually having been there to witness it is as real as the scene before you. The air, the fragrance, the color and the touch is more than the worth of effort that goes into reaching there and taking your photo. Money can buy you acres of land but here the whole planet is yours. You add or avoid elements, shift angles and choose your points of view to make your compositions unique, something more than a record shot, something no words can describe. Such is the collection we present before you that will make you feel as if you actually were there and you will love watching it as much as we did making it. I was born in Acireale in 1974. For the sake of photography I walked across the land, dealing with cliffs and headlands for about 10 years. Trying different photographic techniques had been useful for me to understand the space, the l a n d s ca p e , t h e re p re s e n ta t i o n a n d t h e construction of a photo starting from the elevation, to its colors, composition, and light. My name is Bruno DESCAT, I was born in 1962 and am living in the southwest of France. I am a 61 year old amateur photographer living in the suburbs of Geneva (Switzerland). I only started to use a "real" camera, which my father lent to me, at the beginning of 2016. (I had previously used a simple smartphone for photography). I later acquired a Canon EOS5D MarkIV to be able to use all the lenses that my father bequeathed to me. Roberto Pagani lives in Monza. He is married and father of twins.